Cabinteely FC are delighted to announce an enhanced sponsorship deal with Friends First for the 2017 season. The sponsorship includes branding on the back of the jerseys for our senior team who play in the League of Ireland as well as pitch side advertising in Stradbrook, where the team plays its home matches. Friends First have been helping their customers look after their life protection, pension and investment needs for over 180 years and are one of Ireland’s most established life assurance companies with a reputation for reliability and efficiency and commitment to their customers. 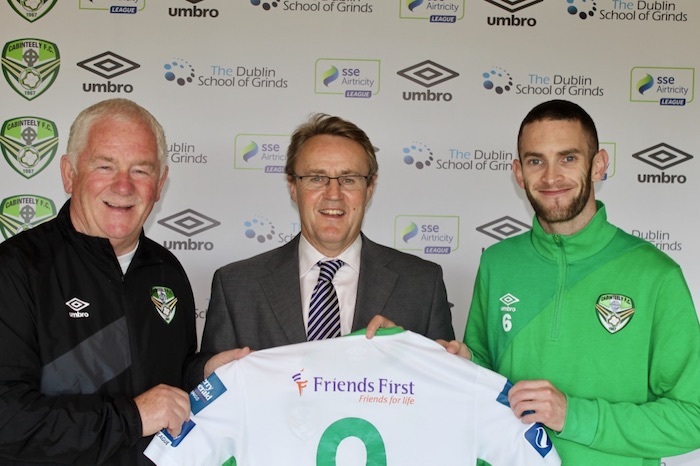 This is the 3rd season that Friends First have shown great commitment to Cabinteely FC, having also sponsored the club in both of our previous seasons in the League of Ireland and having had their branding on our jersey sleeves for the 2016 SSE Airtricity League season.